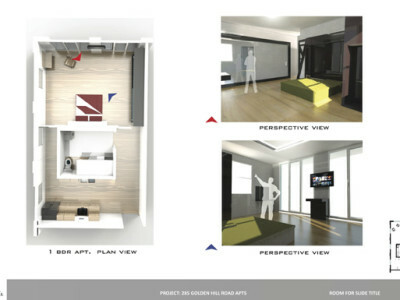 The four year B.S.Interior Design program prepares graduates with the required academics for the N.C.I.D.Q. 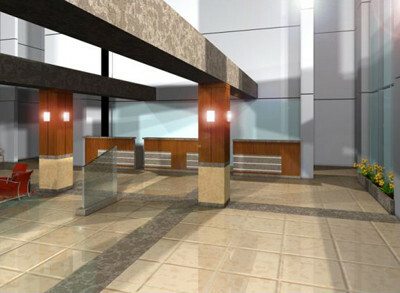 examination and state registration. 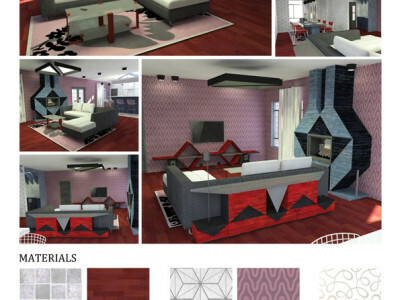 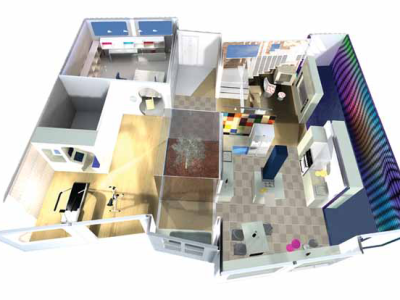 In the course of their studies Interior Design students learn about gathering design information and problem solving in a range of actual projects, from residential to commercial design. 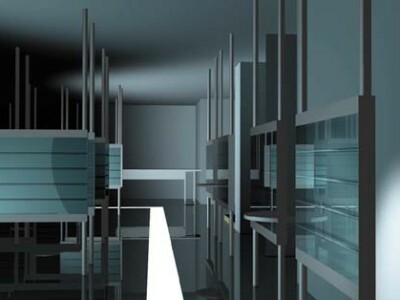 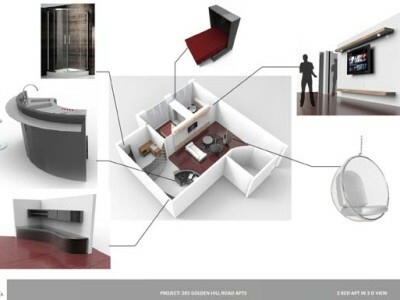 Students further develop technical skills for expressing design solutions, using traditional sketching methods,computer aided design (Auto CAD) and 3D simulation computer programs. 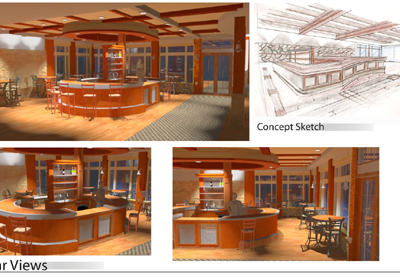 Residential, hospitality, corporate offices, retail spaces and health care: all part of the SASD Interior Design Program. 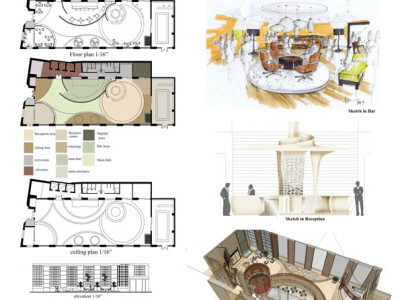 Most of these projects are done in collaboration with outside design firms, which gives an added real-life experience to the students and allows them to make professional connections. 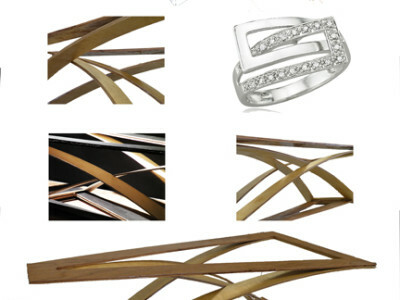 SASD is an accredited member of the National Association of Schools of Art and Design (NASAD),the governing body of undergraduate and graduate art and design schools. 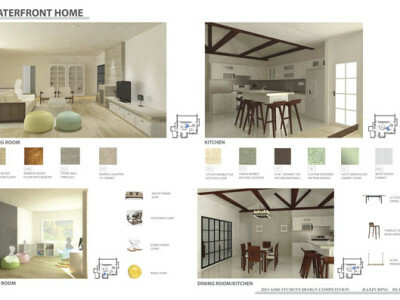 Brief: Design, plan, and render a waterside residence for the ASID competition (inspiration, concept, sketches). 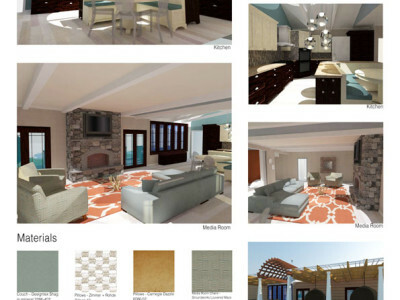 Brief: Design, plan, and render a waterside residence for the ASID competition (renderings and materials). 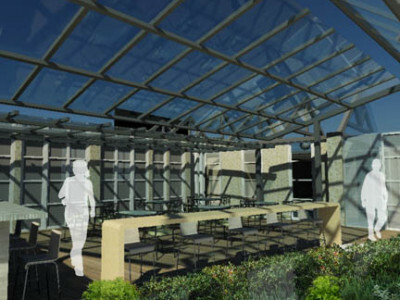 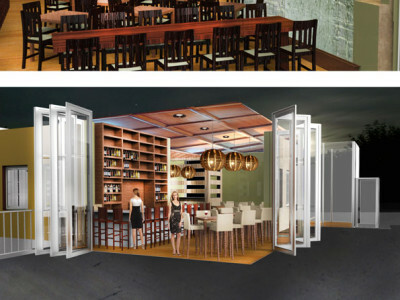 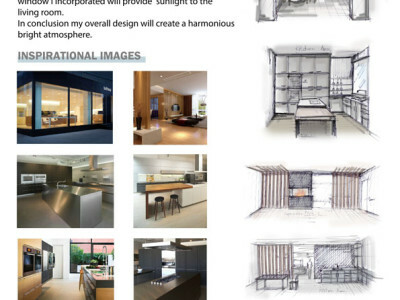 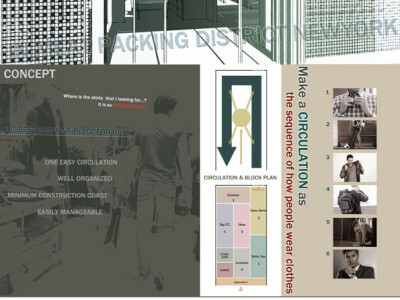 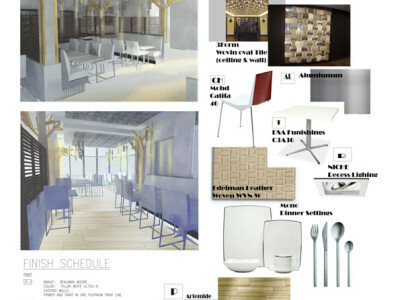 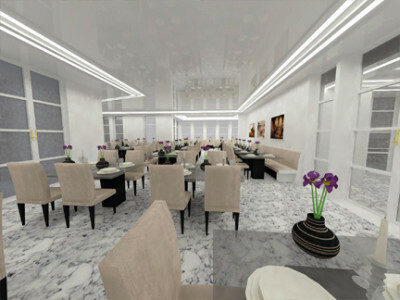 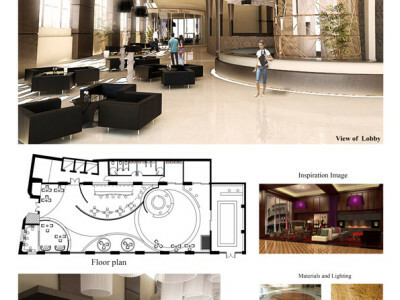 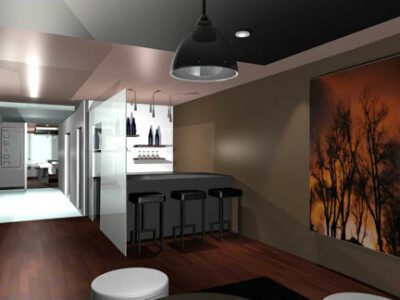 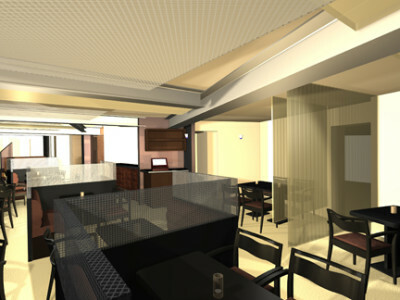 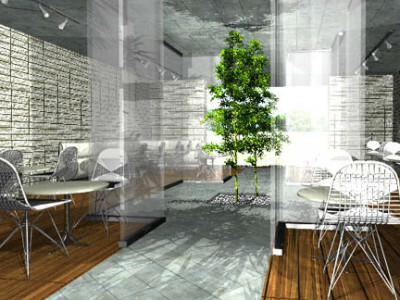 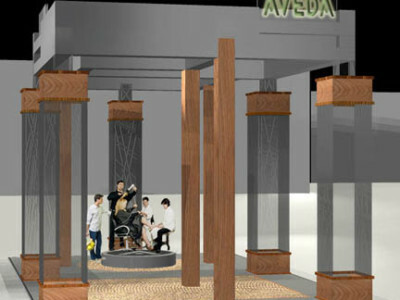 Brief: Design, plan, and render a cosy bistro restaurant for the ASID competition (renderings). 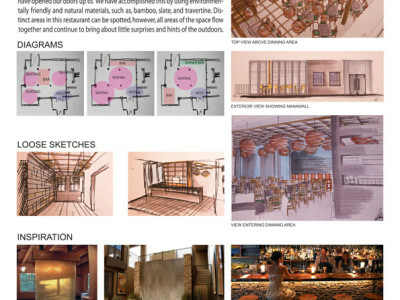 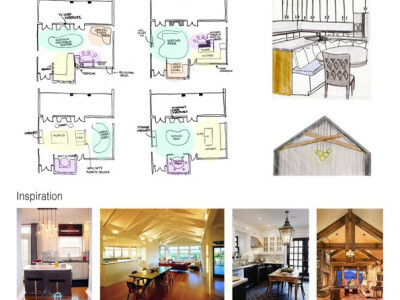 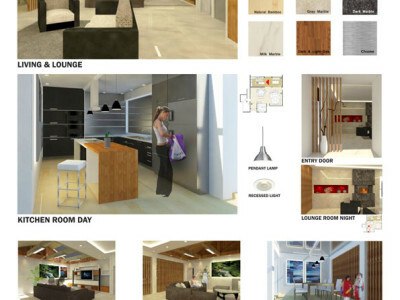 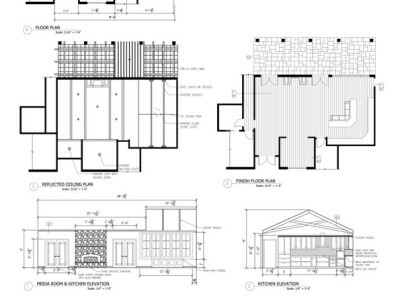 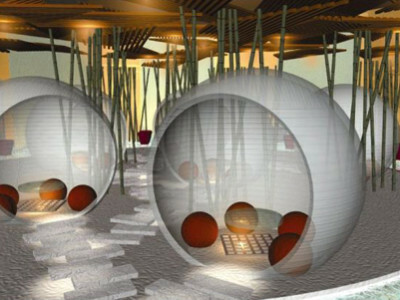 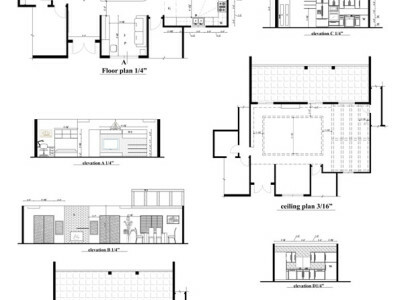 Brief: Design and render a boutique hotel space. 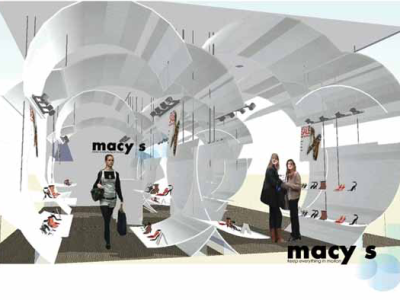 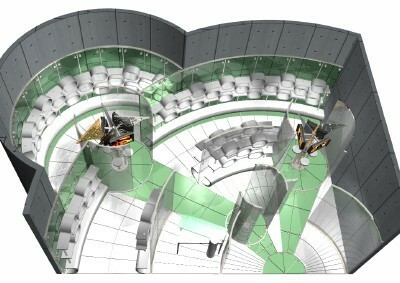 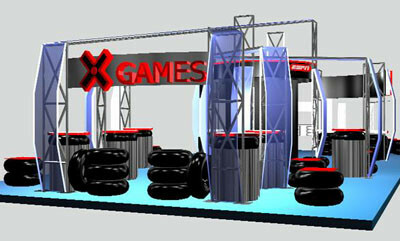 Description: Design for ESPN mobile exhibition space. 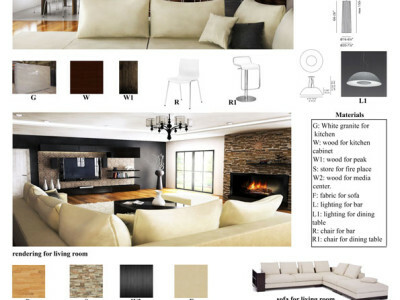 Brief: Coffee Table Furniture Design. 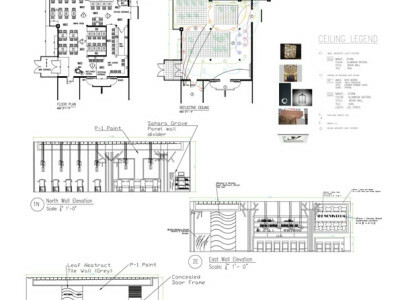 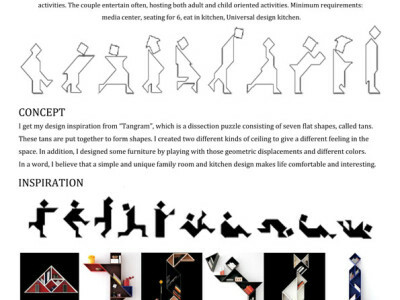 Brief: Design, plan, and render a comfortable café. 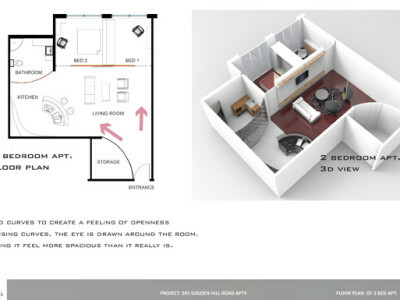 Brief: Design and render a smart apartment, here in axonometric view. 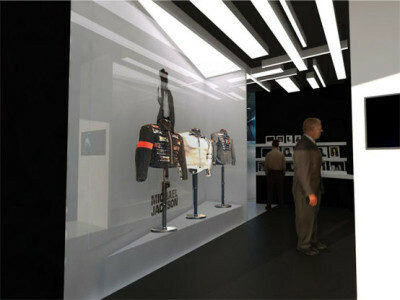 Brief: Michael Jackson Hall of Fame Exhibit. 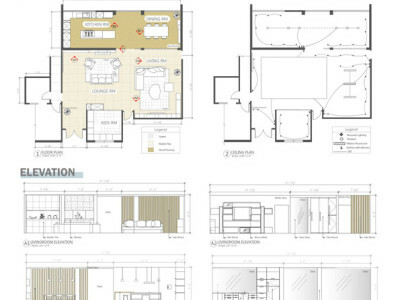 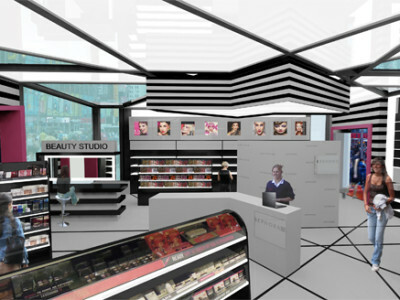 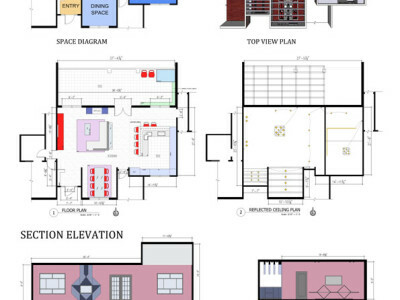 Brief: Design a space for a high-end jewelry store. 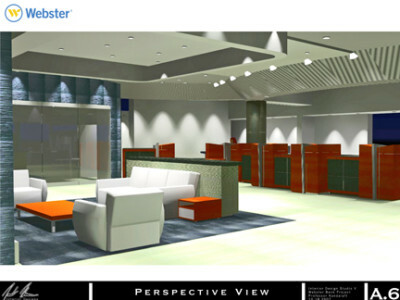 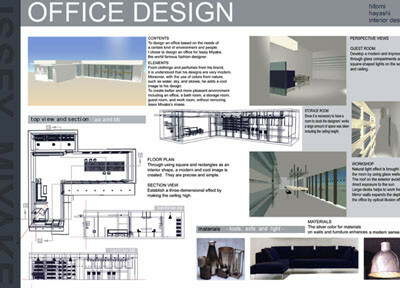 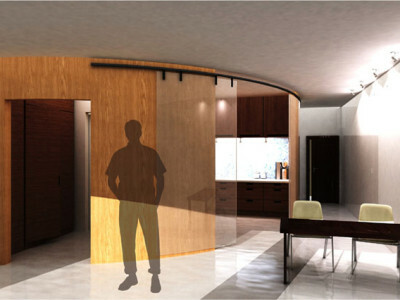 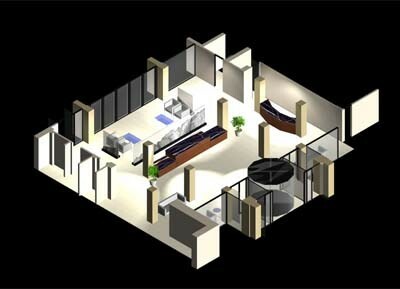 Description: Design board showing plans and renderings of office space for designer Isseye Miyake.